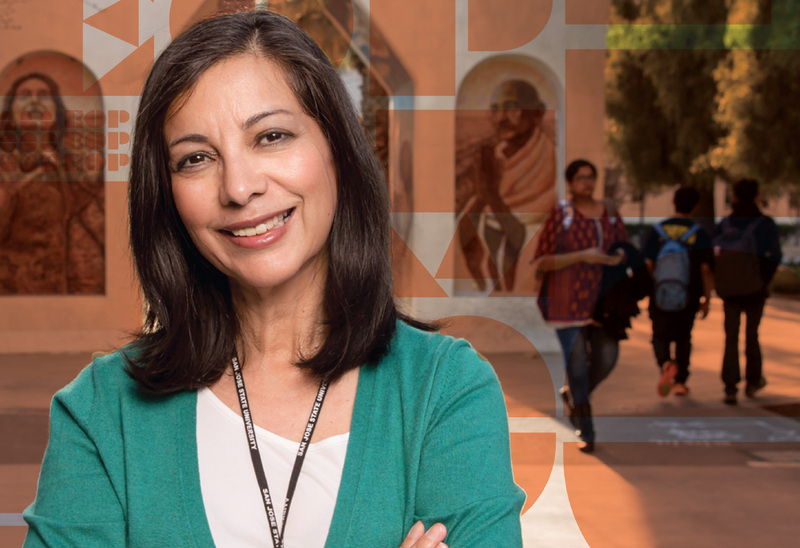 “When I arrived at SJSU as an Educational Opportunity Program student in 1976, I never dreamed that someday I would go to graduate school and become a university professor,” admits Maria Luisa Alaniz, ’78 Social Science, ’80 MA Education. After receiving her master’s at SJSU, Alaniz completed a doctorate in the sociology of education at Stanford. She was working for the Ford Foundation in 1988 when the chair of SJSU’s Mexican American Studies program called and asked her to teach a course on Mexican American families. Alaniz received the 2016 Distinguished Service Award, which recognizes a faculty member for exemplary service in a leadership capacity to the university and/or community or profession that brings credit to San Jose State. I am very impressed with Maria Alaniz. My son is at SJSU in his last year studying Sociology. Ms Alaniz seems to have taken her drive and enthusiasm to help people and develop new ideas. Maybe the study of Sociology brings out the courageous saviors in people. I hope my son, Hayden has an opportunity to meet Maria Alaniz, she is truly an inspiration of amazing accomplishments you can make in the field of Sociology, even more the people you can touch. Congratulations and Brava Ms Alaniz!